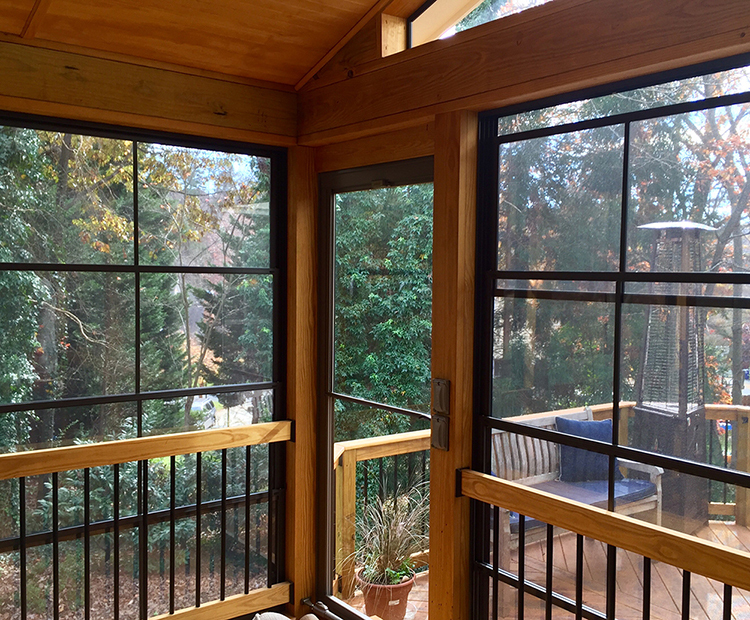 If you’re considering adding a screened porch, open porch, 3-season room or 4-season room, you’ve come to the right place. It’s important to select a contractor that stands the test of time. 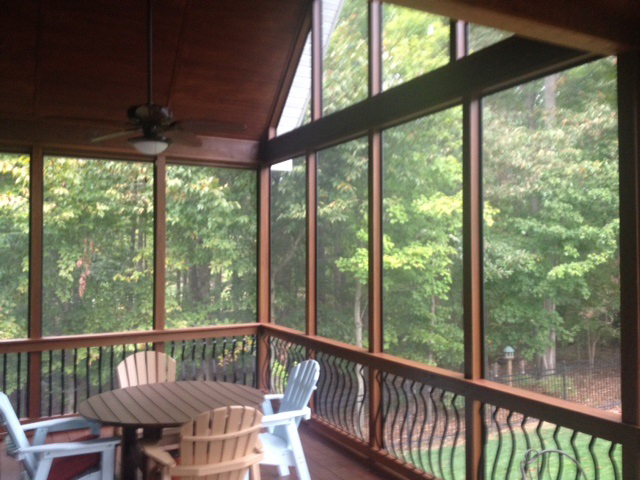 With an A+ rating at the BBB of Central NC/Greensboro since 1995, Archadeck wants to design and build your new screened porch or outdoor room. The Eze-Breeze window system is a 4-track vinyl window system custom made for your screened porch. The vinyl windows are exceptionally clear and easy to clean. The track system allows you to open the windows up to 75% to use your room as a screened porch and to close them fully turning your porch into a 3-season room. 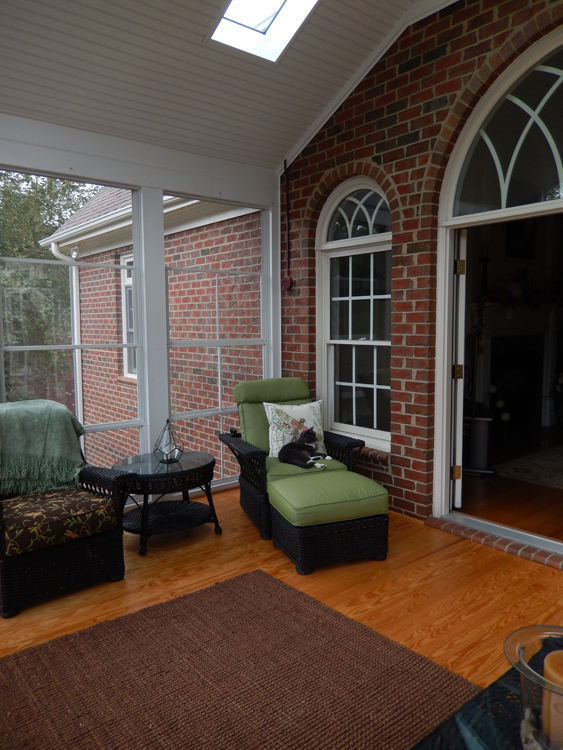 Your pets will love your porch too! The Eze-Breeze 3-season room below has some beautiful features including hardwood flooring, a gable roof, a painted beadboard ceiling and Velux skylights. All the residents of this home love to soak up the sun in this sun-filled outdoor room. Thinking about an outdoor fireplace? 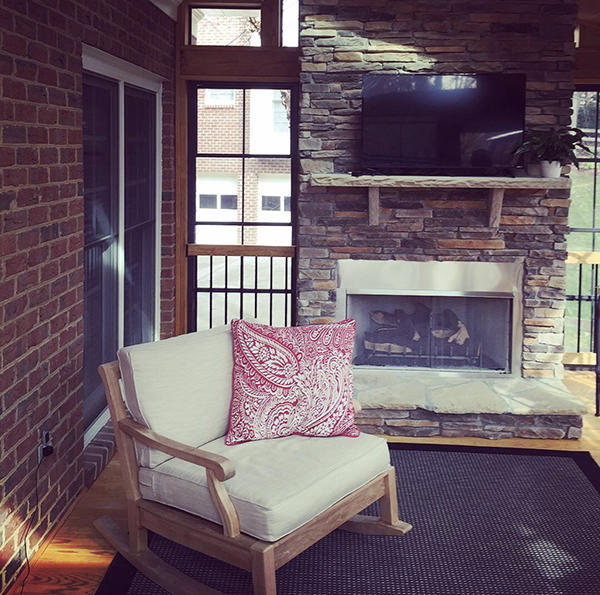 If you’re considering adding an outdoor fireplace, consider adding an outdoor fireplace as part of your new screened porch. There are numerous benefits! 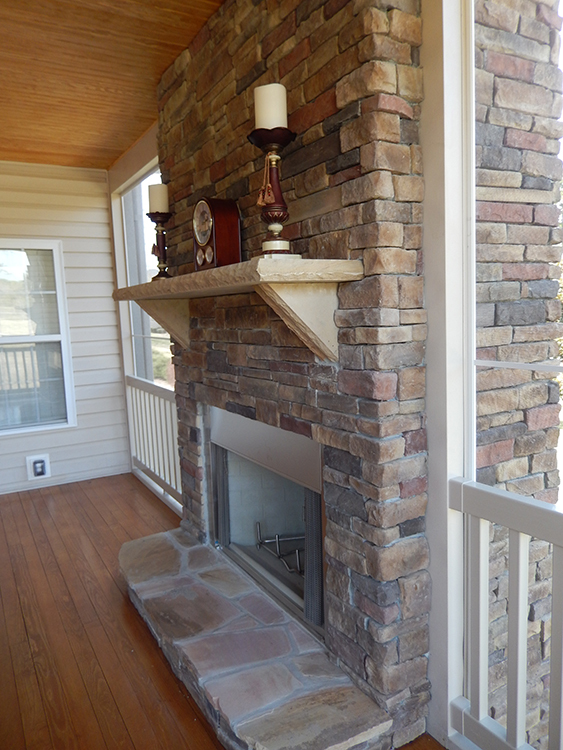 You’ll probably enjoy your porch fireplace most for the aesthetic appeal. It will also allow you to use your porch for more months throughout the year. In the photo below, you’ll notice not only a high-pitched gable roof with a screened gable. Owners who choose a vaulted roof can have the gable end (or triangle end) finished with siding, using glass, or using screens like you see here. Screening allows for the most fresh air but it will also allow a little more water in on wet days. 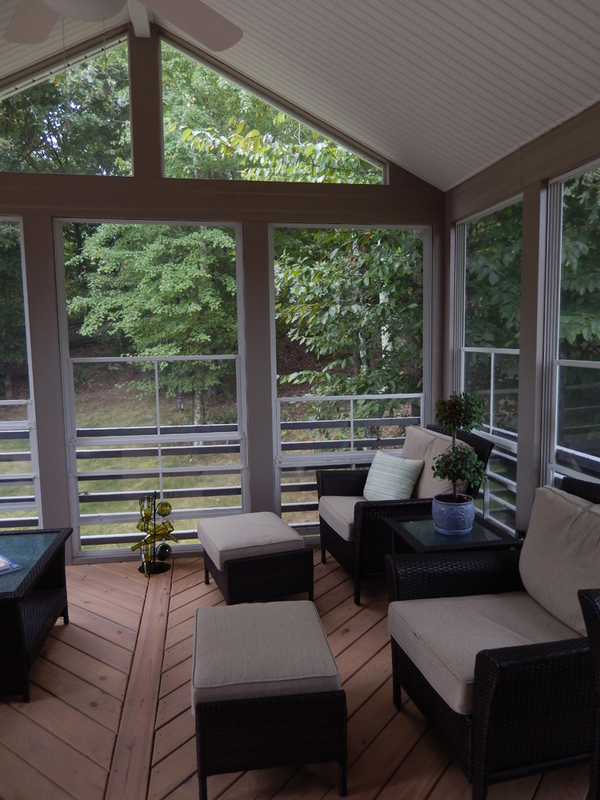 Below is a modern styled screened porch. The porch has a shed roof which is partially attached to the side wall of the home. This roof allows for lots of natural sunlight. The porch is connected to a deck for full sun outdoor living. 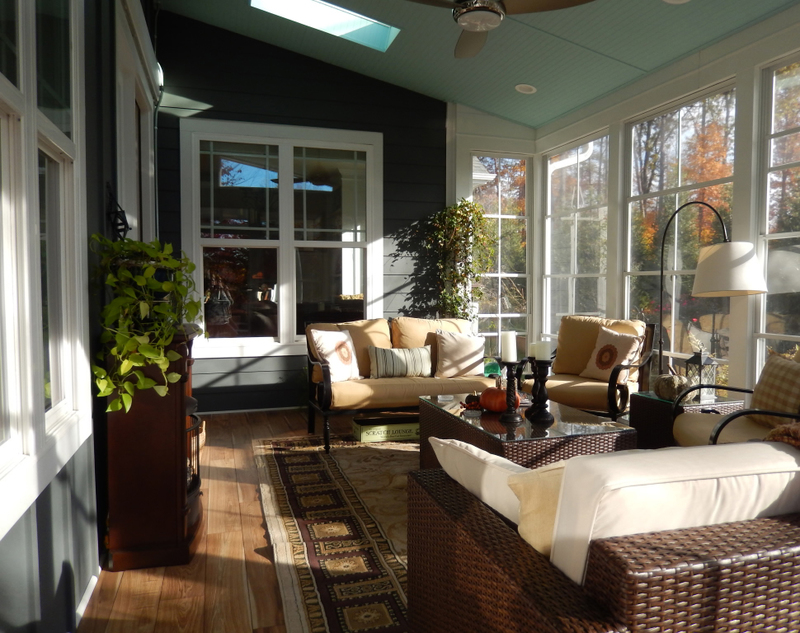 Not sure what screened porch design is best for your home? At Archadeck, we work with you at every stage of the process from idea generation, to design and throughout the build process. We make it easy for you by pulling all necessary permits and scheduling all necessary inspections. Our trained, knowledgeable and experienced design consultants will offer design suggestions and recommendations based on your home configuration of your home. Depending on how much direct sunlight your new room receives, we can add features to allow more light into your room such as skylights or an open gable roof. Below you’ll see a rustic-themed screen porch. Rustic themes generally include open rafters, the use of natural wood and the wood is often unpainted and unfinished. 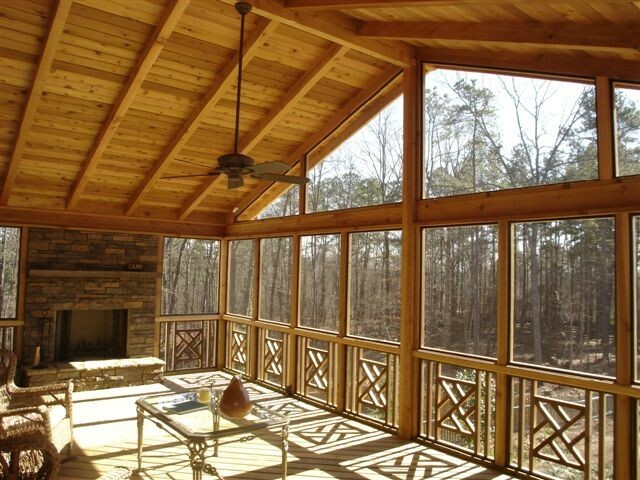 Reminiscent of our porches of yesteryear, you can almost smell the cedar aroma of a newly built screened porch. 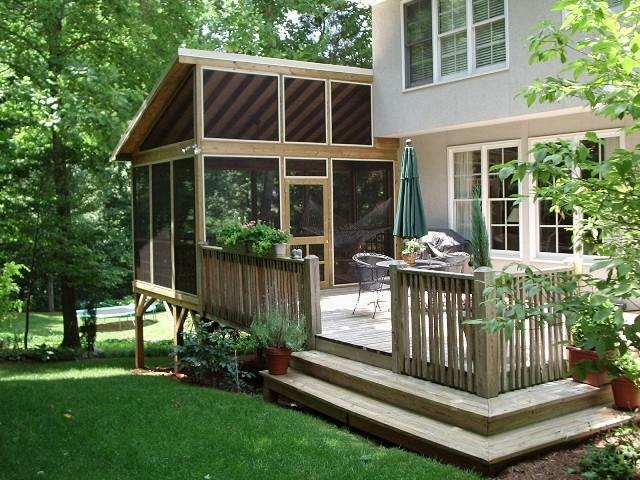 The photo below shows a very popular combination – a gable roof screen porch with an attached deck. Most of our customers are looking for an outdoor living area that has multiple living areas. 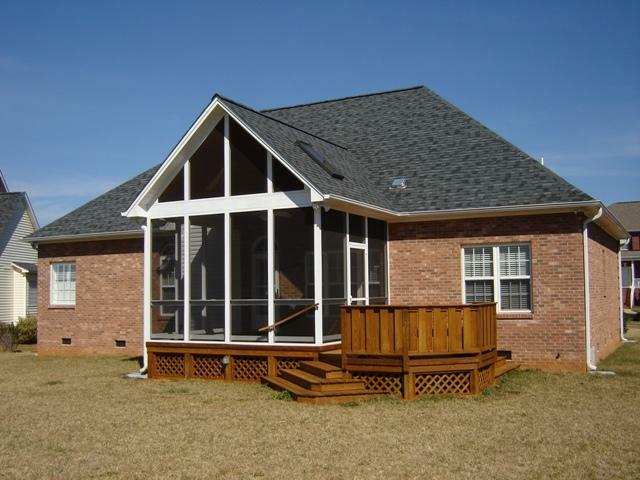 The gable roof on the screen porch is one of our most popular roof styles. This is what provides the vaulted ceiling inside the porch and allows for so much natural light to flow into the porch. 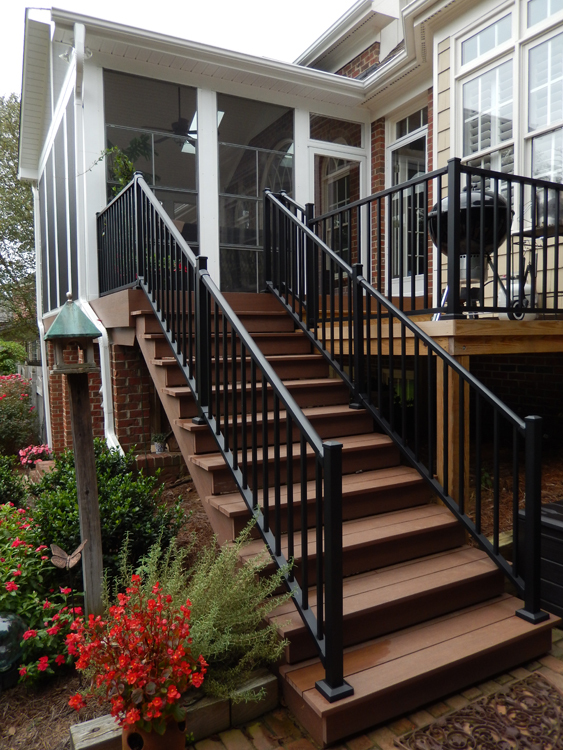 We’ve been building porches, decks, outdoor rooms and more for over 20 years in the Piedmont Triad area. Our consultation is completely free. Give us a call if you’re thinking about adding an outdoor living space to your home.